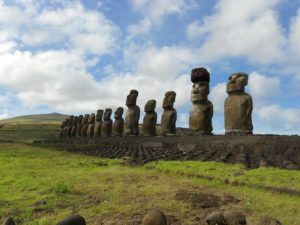 BINGHAMTON UNIVERSITY—The ancient people of Easter Island, or Rapa Nui, were able to move massive stone hats and place them on top of statues with little effort and resources, using a parbuckling technique, according to new research from a collaboration that included investigators from Binghamton University, State University at New York. 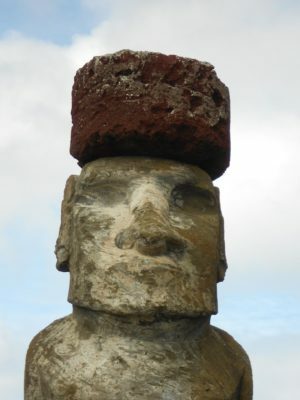 “Of the many questions that surround the island’s past, two tend to stand out: How did people of the past move such massive statues (moai) and how did they place such massive stone hats (pukao) on top of their heads?” said Carl Lipo, a professor of anthropology at Binghamton University. Pukao are cylinders made of red scoria, some of which weigh up to 12 metric tons. They were moved all around the island, across long distances, with few people and resources. The team took photos of different pukao and used them to generate three-dimensional models that document details that are important for identifying the most likely method of pukao transport. Their analysis* showed that the pukao were most likely rolled from the quarry to the location of the moai, and rolled up large ramps using a parbuckling technique. 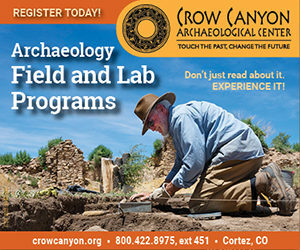 Lipo also said that this use of resources shows how efficiently the people of Easter Island used their resources, which contrasts with what was previously thought. Lipo said he plans to continue researching the Rapa Nui people, and their relationship with their environment and community. *”The Colossal Hats (Pukao) of Monumental Statues on Rapa Nui (Easter Island, Chile): Analysis of Pukao Variability, Transport, and Emplacement,” was published in the Journal of Archaeological Sciences.